Joining ARTsala is easy. All you need to create an account is an active email address and an internet connection. Navigate to the account creation page. Enter your email and create a password. Enter the security text and answer the security question (these help us prevent robo sign-ups). Now, you can select your account subscription type. 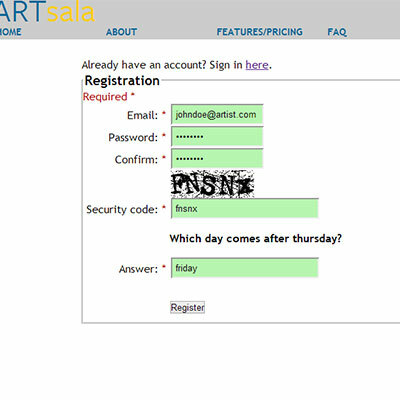 If you select the free trial account, you will proceed directly to your ARTsala account control page. If you are registering for an advanced account, you will be directed to setup your subscription. You can always change your account subscription later, if you desire. Your account has now been created! 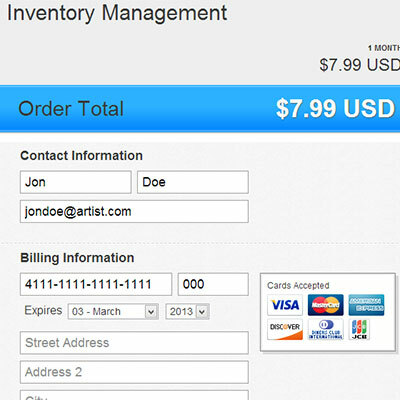 Now you should enter your contact information and create your artist's profile. Return to the getting started guide.